YOUR ACTIVITIES IN THE ISLAND WITH US. Through our tours desk you can book: Guided tours, excursions, rent cars, motorcycles and scooters and much more. Spiaggia Rosa, Island of Budelli. Since 1994 he is part of the Zone A – a full protection – the National Park of La Maddalena and it is therefore only possible to admire it from the sea on the border of the buoys or the ground along the path located east of the beach; but watch out! … it’s forbidden to step on the beach or swim. 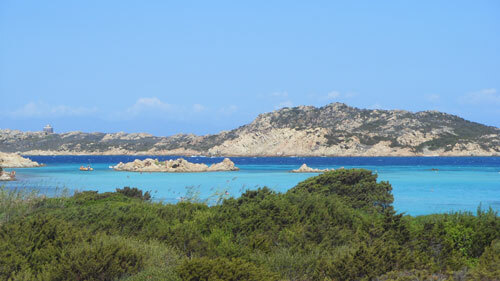 Punta Tegge, Island of La Maddalena. The military base of the US, who lived in La Maddalena until 2007, called “Flat Rocks” for the shape of its flat rocks. From here you can admire beautiful sunsets! 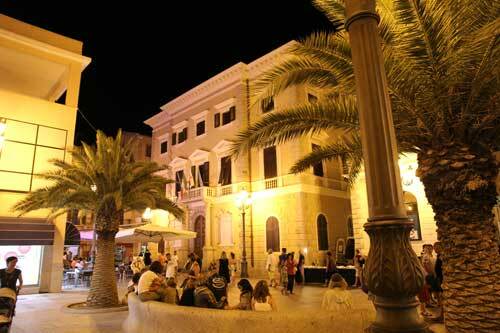 Tour through the historic center of the island of La Maddalena. It ‘nice to turn the “alleyways”, narrow streets and all paved with slabs of granite from the quarries on the island (now all closed) and rich in granite. The architectural style is brought from courses which as is known, had and have, their roots in Genoa, so you can admire the “alleyways” of Liguria, clean, tidy and well kept. 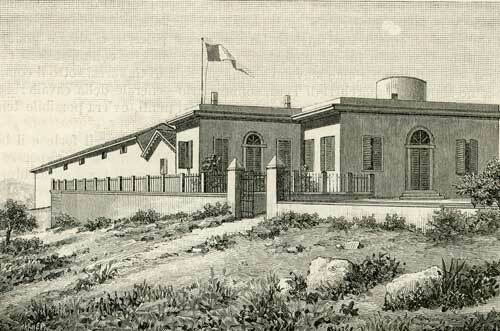 Garibaldi’s House, General settled in Caprera in 1857, in a particularly difficult period of his life after the death of Anita, the fall of the Roman Republic, the abandonment of children, and found in this environment the ideal atmosphere to recover psychologically and rebuild their lives. National Museum “Memorial Giuseppe Garibaldi”, drawing on material that belonged to the hero of two worlds, historical documentaries from different collections, but also with extensive use of multimedia systems, leads visitors to relive the whole existence and activities of Giuseppe Garibaldi. Punta Rossa, Caprera Island . A former military powder of World War II that was used to supply ships and boats of ammunition in addition to being itself an important strategic maritime traffic between Sardinia and Corsica since ‘700. Tejalone, Caprera Island on the highest point of the archipelago, Tejalone, 212 meters, was located the lookout station and the command of all the batteries of the group east. Caprera’s ways. 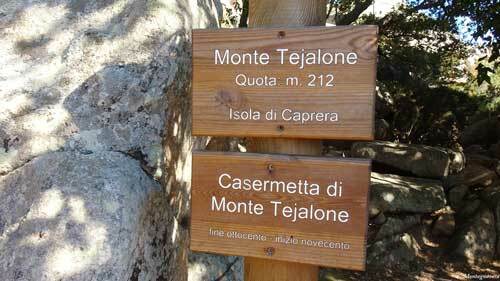 The routes wind along signposted paths; at the entrance of each path, there is a table that shows the name, number, duration and degree of difficulty. Military site in Caprera. The island became a major factor in the defense of the archipelago in the period between the two world wars, when there were built three batteries, two of them in the north: the tip of the anti-ship headed to Zanotto Rubin de Cervin; on the tip of the flak Petraiaccio called M13 (later M199). Both camouflaged to avoid being easily stocks by scouts. Ciano’s statue, Island of St. Stephen, The construction of the mausoleum began after the death of Costanzo Ciano, took place in 1939. The statue of Cyan, incomplete, was never put to work, but still lies on the island Santo Stefano at the slot in which it was being processed. Museum of the Sea, Caprera Island in the Museum are photographs, documents and objects, as well as everything related to the recovery of the ancient local culture, inextricably linked to the sea and all that has to do with it.